Do not panic if you or your guest spilled red wine on a pristine tablecloth or your favourite shirt. The good news is red wine stains can be removed if you act fast enough. Here is a step by step guide to show you how to remove those smudges. The key to removing splotches of red wine on any fabric is to act quickly so that stains will not set in making the clean-up process harder. 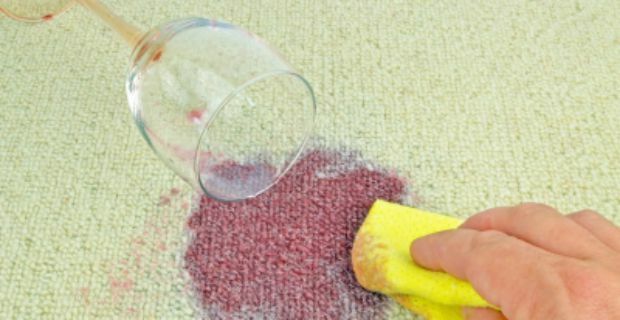 There are several methods used to remove stains; some better than others. Find out what works for you. 1. Put the stained garment in a bowl. If it is a large area, you should place it on a large surface such as a big basin or in the bathtub. 2. Immerse the stained area with cold water. 3. Pour salt on the affected area. Allow it to sit. 4. Dab on the salt with a cloth. Remember not to rub it as this will just allow the smudge to spread. 5. As soon as most of the stain is absorbed in the salt, pour boiling water on the area. This should remove the stain. 1. Follow the steps mentioned above. 2. Mix 2 parts of water and 1 part vinegar. 3. Soak the fabric overnight. 1. Use paper towels to absorb the majority of stains. 2. Dab bicarbonate of soda on the stained area. 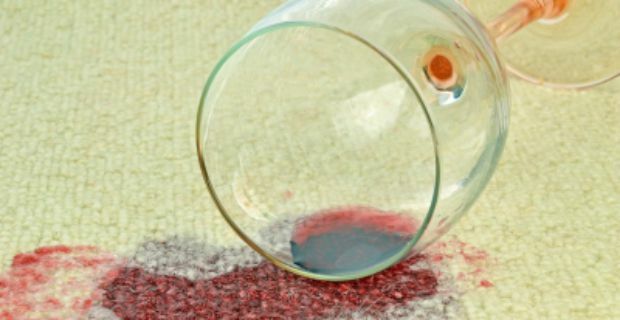 Commercially prepared stain removers are also great at removing wine stains. If you have one on hand, use as directed on the product label to remove stain. Some brands that work at removing red wine stains include: Vanish, Dylon, Lakeland and Dr. Beckmann.